The infant suffered severe burns which the nurses at the hospital in Aktau posted to social media as a grim warning to parents. Tragic stories are never easy to read nor are they easy to write but they do serve to bring awareness to certain situations. This story comes from Aktau, Kazakhstan where an infant was electrocuted after chewing through a smartphone charging cable. The mother of the infant left the infant to play with her phone while she took a nap. The phone remained plugged in and charging while the infant played with the device. After waking up the mother did not hear the infant making any noise and found the child lifeless with no pulse. The mother rushed the infant to the hospital but the doctors could do nothing to save the child. It appears that the infant started to chew on the charging cable and broke through the outer shielding causing her to get electrocuted from the current coming from the wall. The infant suffered severe burns which the nurses at the hospital in Aktau posted to social media as a grim warning to parents. We don’t think it’s necessary to post those photos here, but we do think it’s important that people are aware of the dangers of electricity. We tend to become very relaxed in our daily lives with everyday objects such as smartphones, but we forget that there is danger there. We only need to look at Samsung’s Galaxy Note7 to know that something can go wrong at any time. 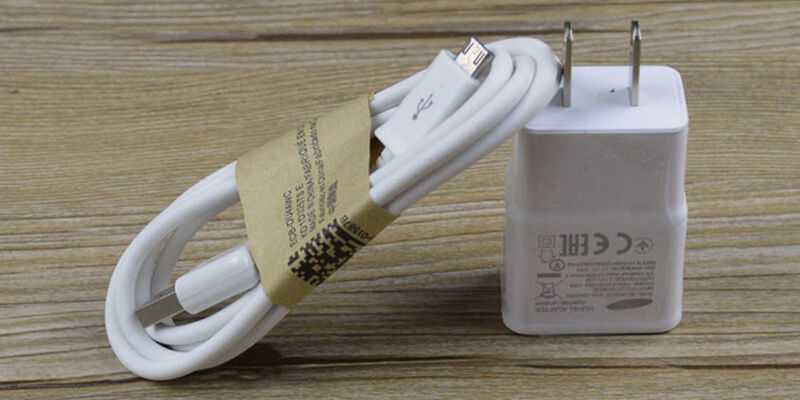 While the current coming from the cable of a smartphone charger may give us a quick shock, as an adult you’re most likely going to pull away from it quickly. An infant doesn’t understand the dangers much less what she’s feeling in that current and that’s likely why this child was electrocuted to death. There’s a large debate on whether or not infants should be using smartphones but one thing that everyone can agree on is, make sure they are monitored while using them. This tragic incident is unfortunate and hopefully, other parents will take note. What do you think about this story? Let us know in the comments below or on Twitter, Facebook or Google+.